Happy Christmas Eve to one and all! The Christmas holidays are now in full swing – hurray! To say ‘Happy Christmas’ and thank you to our neighbours for being what feels like our own parcel receiving service, myself and Mr Birdie decided some brownies would be a thoughtful gift. Mr Birdie suggested making some brownies with Roses or Quality Street however I decided to veto this in favour of these chocolate orange brownies as to me a Terry’s Chocolate Orange is also very Christmassy. They were well received and will hopefully be enjoyed over the next few days. This is a Jane’s Patisserie recipe. I’ve been following her for quite a while on Twitter and Instagram and would highly recommend checking out her recipes as they look delicious! 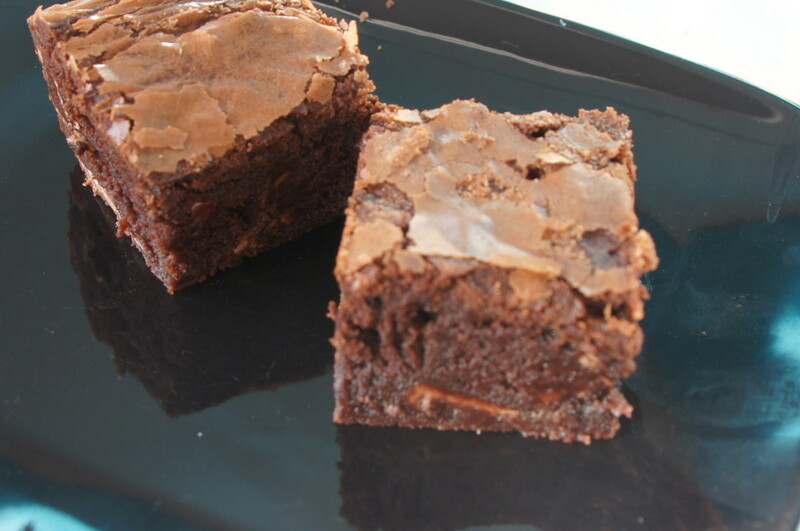 You’ll need a 9 inch square tin to make these and 2 Terry’s Chocolate Oranges (I got mine from Poundland!) 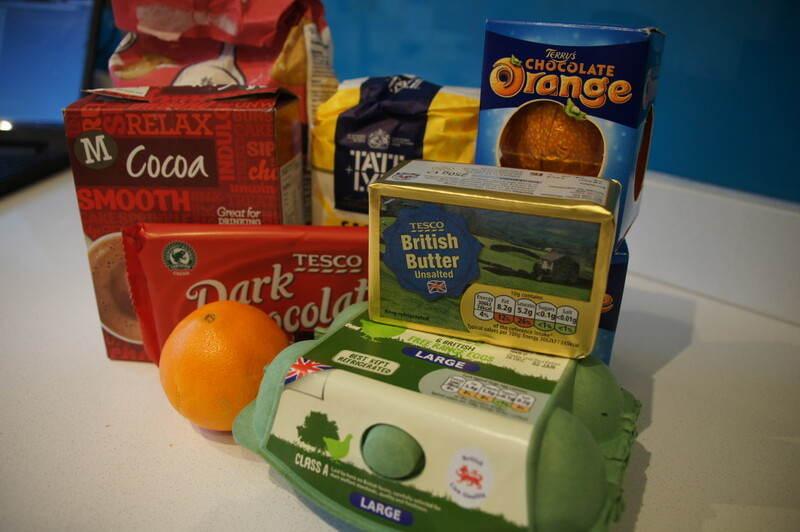 If you can’t find the equivalent weight in Chocolate Oranges you can alternatively use the same weight in milk chocolate with the zest of an orange. Once made, the brownies will keep for up to 1-2 weeks in an airtight container (although I highly doubt they would last this long). 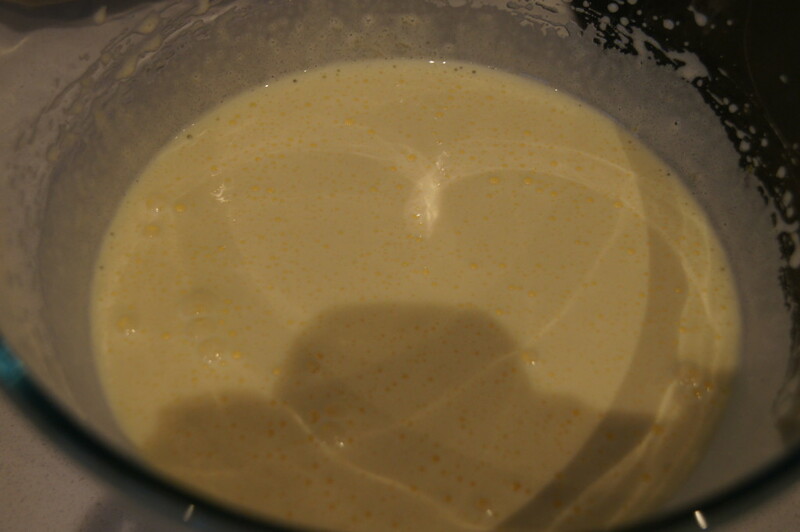 They would also make a lovely dessert warmed up in the microwave with either a scoop of ice cream or a dollop of cream. 1) Preheat your oven to 180C/160C fan and grease and line a 9 inch square baking tin. 2) Melt together the butter and dark chocolate in a bowl over a pan of boiling water (remember to not let the water and bowl touch). Alternatively heat together in a microwave for 1-2 minutes until melted. Leave to the side to cool to room temperature. 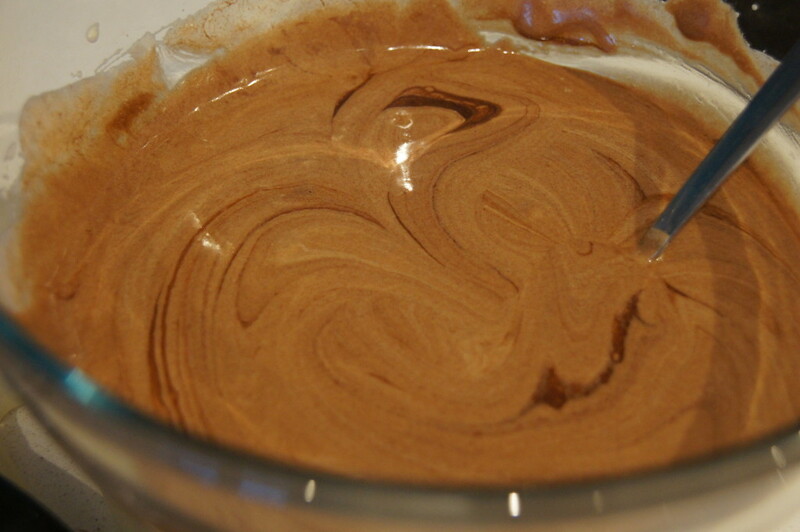 3) Using an electric whisk or freestanding mixer, whisk together the eggs and caster sugar for a few minutes until the colour has turned pale, it is mousse like and is double the original volume. This can take a while so be prepared to be patient! When it’s done it should leave a trail when you lift the whisk out of the mix. 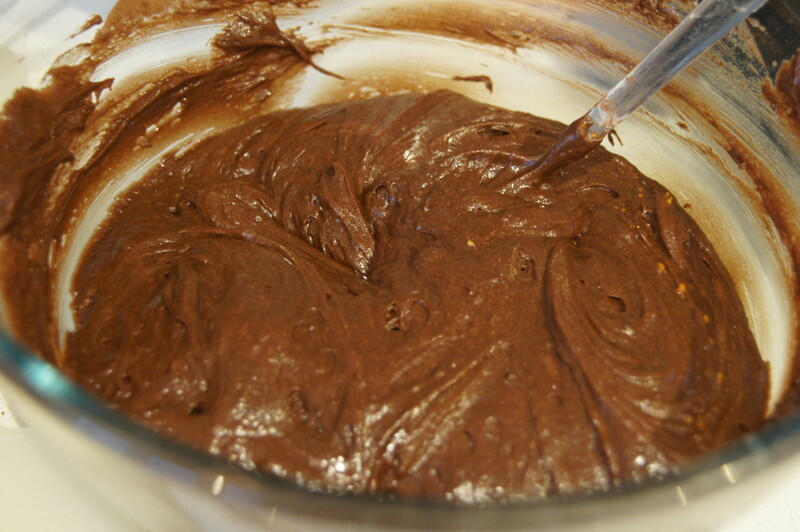 4) Pour the cooled chocolate mix over the whisked egg and sugar mixture and fold together carefully using a metal spoon. This can take quite a while due to the quantities involved but you need to be patient as you don’t want to knock out the air in the egg and sugar mixture. 5) Once completely the chocolate and egg mixture are combined, sift the cocoa powder and plain flour on top of the chocolate mix, add the orange zest and then fold together again (still using a metal spoon and being careful to not knock out the air). 6) Finally, once everything is combined well fold through the Chocolate Orange chunks and pour into your prepared tin. 7) Bake in the oven for 25-30 minutes (mine took a lot longer – closer to 45 minutes) until the centre doesn’t wobble and a skewer comes out clean. If you find yours are taking a little longer than expected cover the top with foil to prevent any burning. 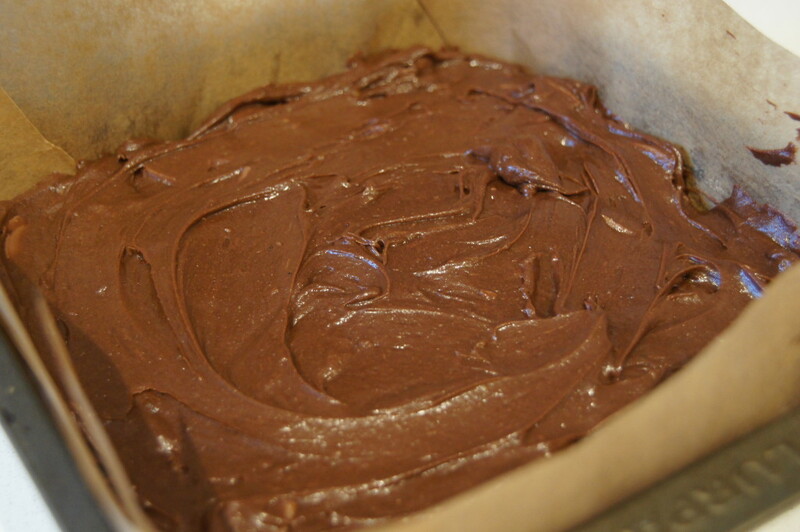 Once baked, leave to cool in the tin completely.